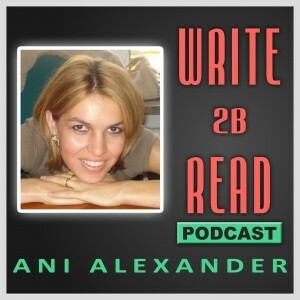 Please welcome author and podcaster Ani Alexander to the Author Marketing Podcast Network. Her podcast is entitled “Write 2B Read“. The show is focused on interviewing authors to discover their secrets to success. Subscribe and listen to the podcast here. I am a wife and a mother. I am happily married with 11 y. o. son. They support me in everything I do and I truly appreciate that. I am a bestselling fiction author. I write about life, feelings and people. The thought that many people around the world read and enjoy my books makes me extremely happy.